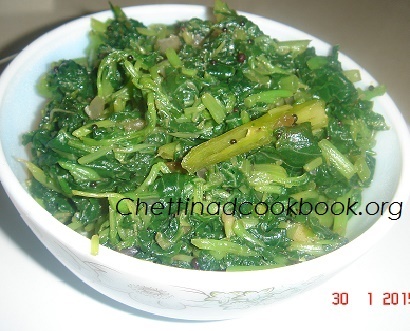 This recipe is very simple that consumes less time and Ingredients,This variety Greens are easily available in Markets,and not much difficult to clean.I like this great taste with hot Idlies in morning hours. Add black gram with slender amaranth juice which is the best medicine for preventing water dysentery. To reduce blood pressure, giddiness and gallbladder disease, dry the cumin seeds which are dipped in the mullai keerai juice and then grind the seeds. Intake this powder to reduce the occurrence of the above diseases. Add amaranthus blitum in your child diet regularly for forty days to increase the height of your child. All types of cough are prevented when turmeric, licorice and amaranthus blitum are mixed and boiled for few minutes. Drink the juice to get rid of cough. Loss of appetite can be cured, if the amaranthus blitum is taken with pepper, cumin seeds, turmeric, garlic and small onions. Add the above ingredients and make the delicious dish to make your loved ones stomach happy. People who does not feel the taste of the food are advised to have mullai keerai , pepper, turmeric, salt and pulicha keerai in their diet by siddha doctors. Wash and clean Greens drain water completely,cut in to small pieces. Heat wide pan with one teaspoon of oil,season it with the above “To Temper” Ingredients. Add chopped Onion and chilli saute until half cooked. 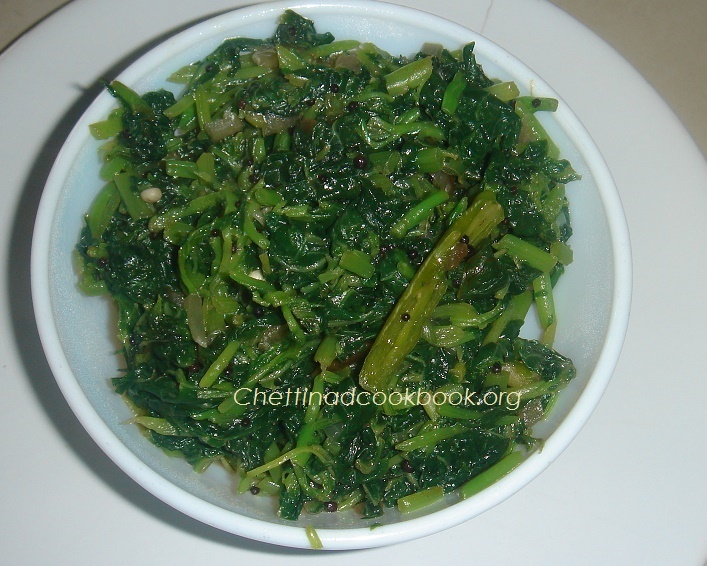 Add cut greens to it stir for 3 minutes,add Salt mix well and switch off. Mulai keerai poriyal is ready to serve with cooked rice and kara Kuzhambu. Match it with hot Idlies,nice combination. Yes it is healthy too…..